Yoohoo! I'm back with another update on REALASH Eyelash Enhancer! I've been using it for 3 months now, and I'm really loving the results so far! It REALLY works, no joke :o You can read more on my previous updates about REALASH here and here. In case you've forgotten, lemme remind you again what is REALASH. It is an award-winning eyelash serum formulated in Europe to give you stronger and longer lashes. It's not a cosmetic nor a temporary solution, and countless hours of research has been poured into making this incredible formula that actually delivers long-term results. With its natural and active ingredients such as mango, papaya fruit extract, bitter orange flowers extract, natural plant leaves extract, horsetail, flax and calamus extract, REALASH helps your body to produce real and natural lashes with incredible density, length and strength. REALASH is scientifically proven to be effective, opthalmologist tested and is 100% safe for sensitive eyes. REALASH is also extremely easy to use. After washing off all eye makeup and drying your face, just apply REALASH by gently stroking the nutrient on your upper lash-line using the fine-tip applicator once a day and enjoy for the satisfying results after just 30 days! REALASH is suitable for women who have brittle and short eyelashes. If you're always using fake lashes or bad cosmetics or even undergoing chemotherapy, REALASH would work for you as it strengthens the lashes as well as elongates it. Eyelashes normally takes 30 days to grow but most of the time, mature eyelashes fall our before new ones are fully grown thus causing a visually unpleasant effect. With REALASH's innovative technology, it helps your eyelashes to be stronger and not fall off so easily. It also makes them grow faster, denser and your eyelashes look longer, fuller and curlier! Ready for the results? PS: A lot of eye photos coming your way haha. 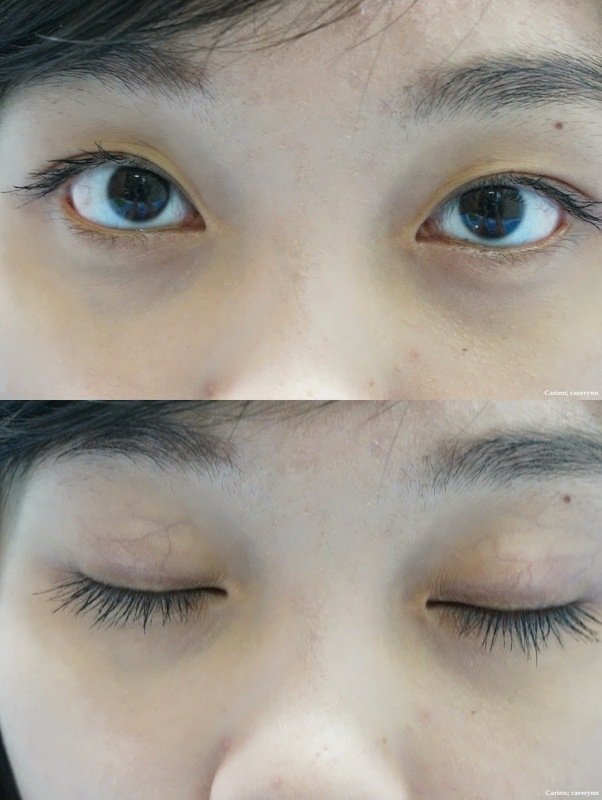 This is the progress of my lashes before I started using REALASH, after a month and after 3 months. In my previous post, I mentioned that I used REALASH on and off as I tend to forget but for this time, I am so determined to see if it works and have religiously applied REALASH and incorporated it into my nightly skincare routine. When I started using in October 2014, I had limp lashes that fall off easily and are straight as a ruler. Now my lashes are much longer and fuller, as you can see! 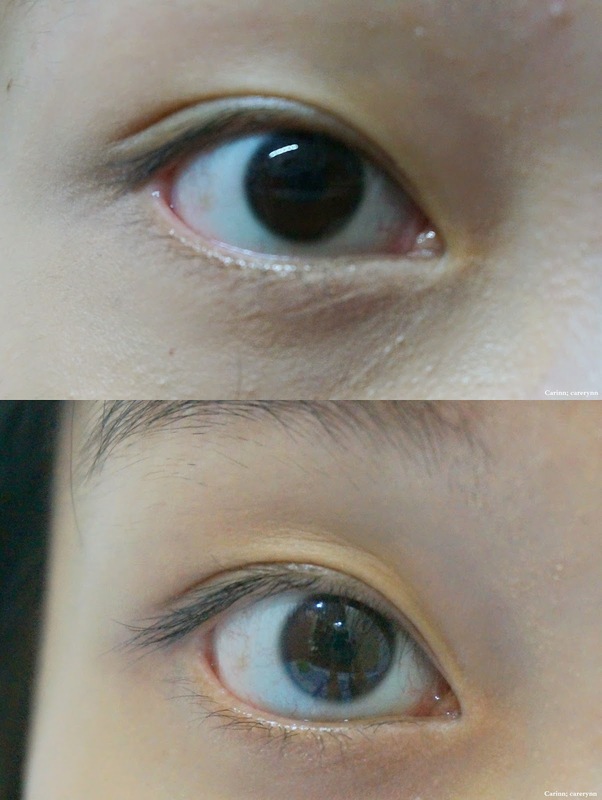 Because it is denser, my lashes also looks darker! Previously, I always have a problem of curling my lashes, even with the best eyelash curler. They were just so stubborn! Nowadays, my lashes have a natural curl, especially at the corners. Can you see it? I don't even need to use much mascara now. 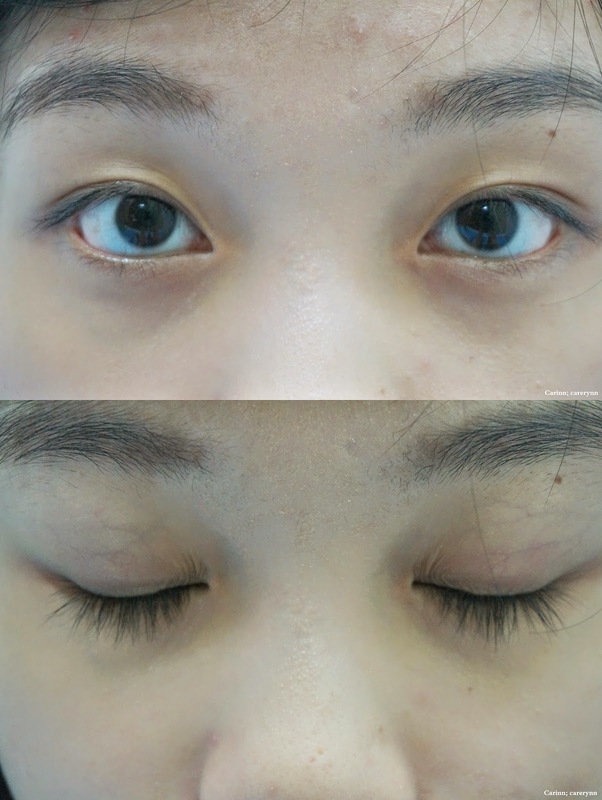 In November 2014, I noticed that my Maybelline Big Eyes mascara left a significant effect on my lashes but I had to use at least two layers to achieve fuller-looking lashes. Now, one layer of mascara is enough to achieve longer and voluminous lashes! 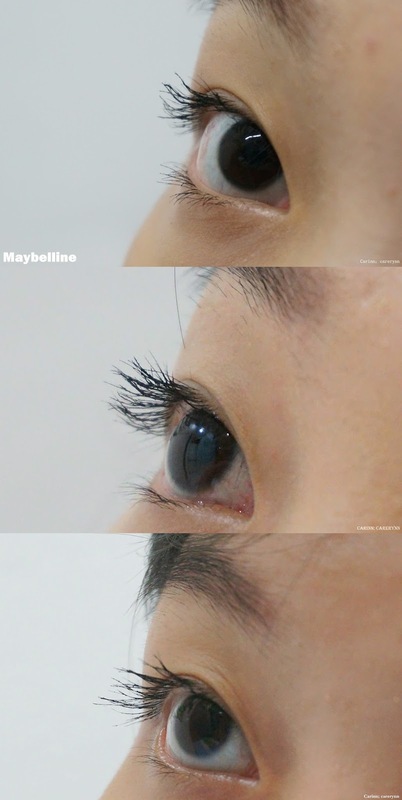 Using Maybelline Big Eyes mascara. Looks quite natural right? 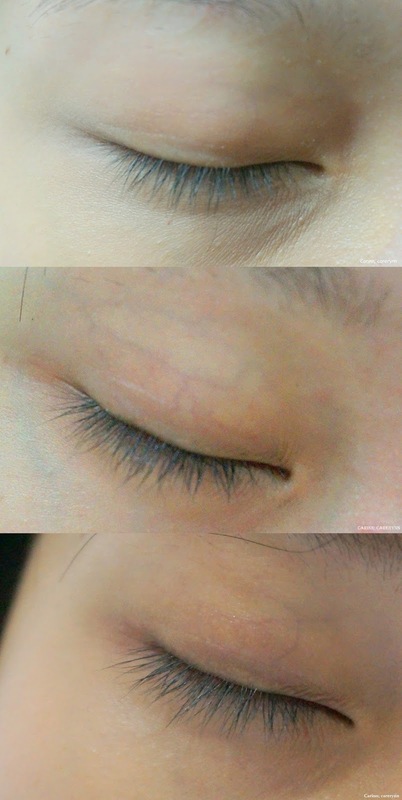 The top photo was taken before I started using REALASH and the bottom one is how my lashes look like currently. I've always admired girls with long lashes as I feel it makes their eyes bigger, and I was right! Now my lashes look darker and naturally curls upwards and I really love it! Even my bf says that my lashes look much thicker now. Whether with or without mascara, the results is promising and has truly helped me save a lot of mascara and makeup time. My lashes also don't fall out as easily now. However, I find that sometimes my lashes feel quite hard, or maybe it has always been that way? It is also advisable not to scratch your eyes because if the product gets into your eyes before it is dry, it can cause irritation. It doesn't hurt, but your eyes will itch - true story, happened to me before. Another downside for me is that it is quite costly at RM 199 for a 3ml bottle?! But if you think about how well it works and how long it can last you, it's really worth the price to pay for beauty! One stroke is enough and a bottle of REALASH can last for 4-5 months easily. I'll be sad when this bottle finisihes but I'll defintely repurchase. No wonder REALASH has been so popular among celebrities and bloggers! Thank you, REALASH for giving me big, beautiful lashes! If you wanna try it out for yourselves too, log on to their website to learn more and order now! Disclaimer: Even though the product was sponsored, it does not affect my opinion in any way. The review is based on my honest personal thoughts, experiences and preference after trying out the product. Effects may vary depending on the individual. Hi. Oh dear, I'm so sorry to hear that! >< I have their email, perhaps you can drop me an email and I'll forward it to you? Hopefully you've gotten your parcel already! Shopping: Why Shop at iqueen.my?